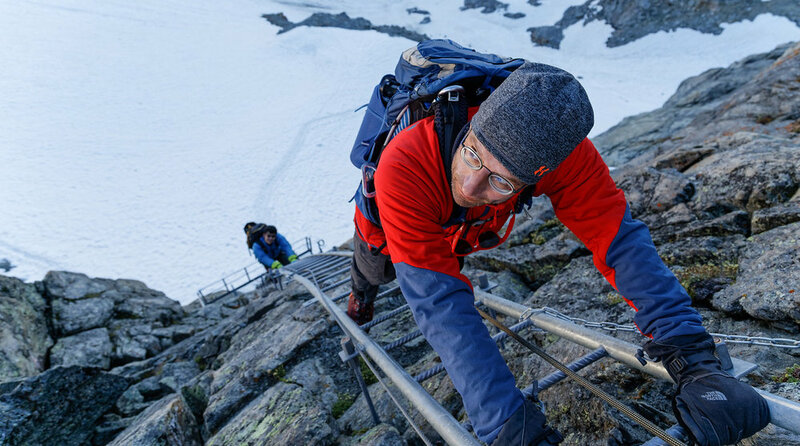 The Tour du Mont Blanc is renowned as one of the top treks in the world. 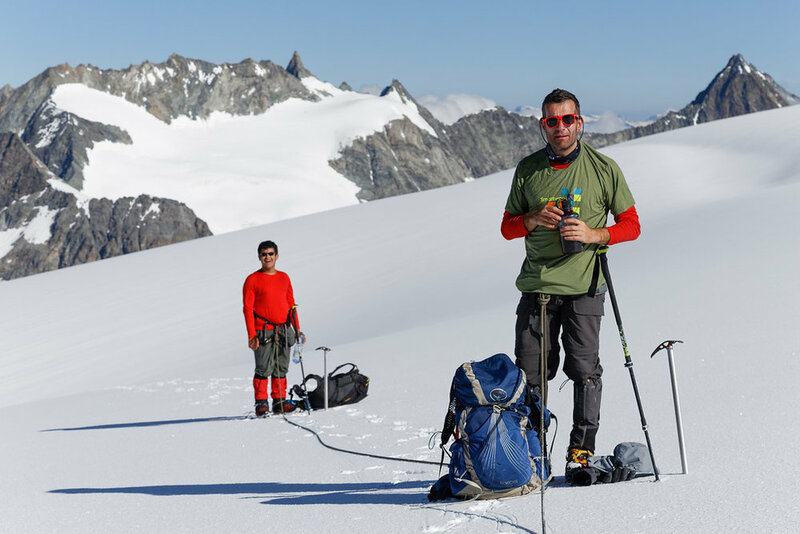 Its fame justified by the jaw dropping views, the variety of the terrain and the satisfaction gained from circumnavigating the largest mountain in Europe. Combine that with the contrast in local customs and cultures as you move from France, to Switzerland to Italy, and it is no wonder thousands of people travel from all over the world every year to see it for themselves. Covering 160km and 10000m +/-our challenging itinerary takes in the difficult variants that have been developed over the years, with significant distances, ascents and descents on rugged and sometimes exposed trails. The consecutive difficult days spent walking between 7-10hrs should not be underestimated and is reserved for fit and conditioned hikers. There is no luggage transfer on this trip. We spend our time in hotels and mountain refuges. The Glacier Haute Route is an incredible historical route crossing the high passes that guard the valleys between Chamonix and Zermatt. Brushing shoulders with a host of 4000m+ peaks and feeling the crunch of crisp ice underfoot each morning is a truly memorable experience. The terrain being on an ever changing glacier, means that this is a challenging route even for the seasoned hiker. Rubble paths lead from moraines onto the glacier each day and depending on snow conditions it can be hard blue ice or punchy soft summer snow. It is essential to arrive on this trip feeling fit and prepared for the challenges that lay ahead. We spend the majority of this trip in mountain refuges with a night in a 3* hotel both in Chamonix and Zermatt. Luggage transfer is not available during the trip but only between Chamonix and Zermatt. Reduced prices for 2+ people. Read about preparing for long distance treks here.